Size: 2T, Color: Blue is currently out of stock! Size: 3T-4T, Color: Blue is currently out of stock! 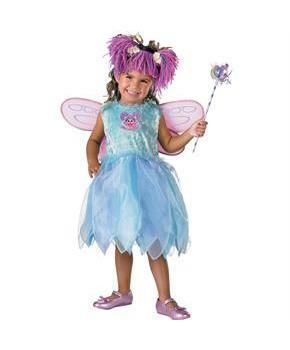 Includes: Dress, wings, headband, and wand. This is an officially licensed Sesame Street ® costume. Cookie monster, Elmo and many goggled eyes monster make everyone smile and giggle with their jokes. These monsters love cookies and will make you learn lots of good things. Lets have a great pre-school fun for your kids with Sesame Street. Let her travel through fantasy land in this amazing outfit. Let yourself dress up in the most beautiful costume. 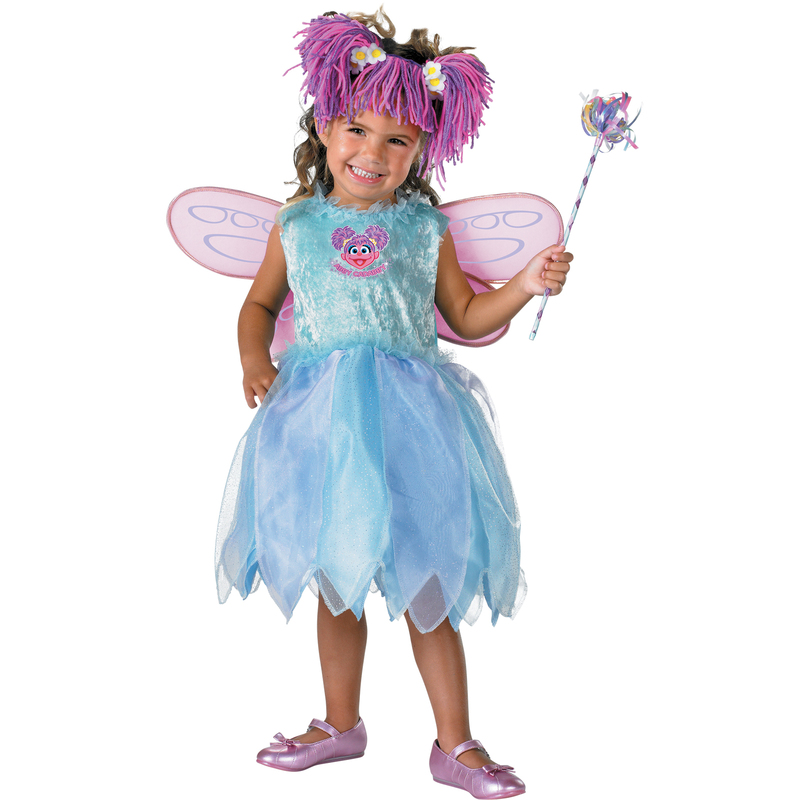 Your wish to look charming and fabulous will become reality in Sesame Street Abby Cadabby Deluxe Toddler costume. Care Instruction: Hand wash cold separately. Do not bleach. Line dry. Cool iron if necessary. Do not dry clean.